DESCRIPTION Welcome to an incredible Truman built home in the sought after community of West Point Estates. This contemporary 3 bedroom, 3 bathroom, modern designed home, features remarkable upgrades and over 2500 SF of living space. Gorgeous hardwood flooring, designer lighting, and new paint throughout highlight the inviting main floor layout. The spacious great room has large windows and a gorgeous upgraded gas fireplace surround, searing and mantle. You’ll love entertaining in the formal dining area, where you and your guests will be impressed by the unique wine storage and display. 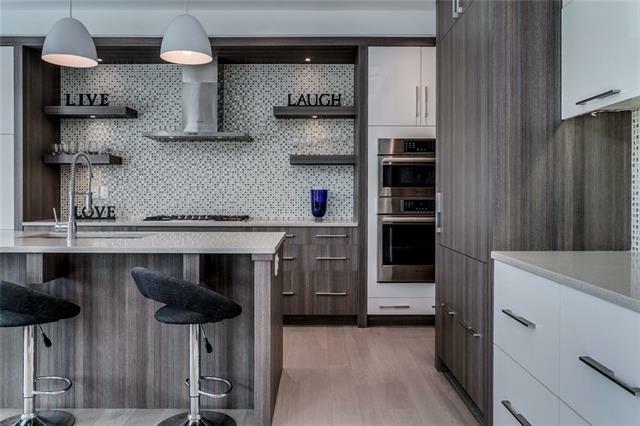 You’ll adore the outstanding modern dream kitchen, and its top of the line stainless steel appliances, quartz counters, stunning upgraded cabinetry, beautiful backsplash, butlers pantry, island and 6-burner gas stove top. The adjacent eating area has tons of natural light and access to the inviting, large deck that is ideal for entertaining. There is a 2 pc powder room and a den for your home office to complete the main floor. The fabulous upper level has a large master suite and stunning 5 pc ensuite complete with oversized shower, soaker tub, heated floors and walk-through closet. The whole family will enjoy the bright bonus room, 2 additional bedrooms, 4 pc bath and laundry. The large backyard is fully fenced and landscaped. Great location close to numerous private and public schools, shopping, recreation and more! 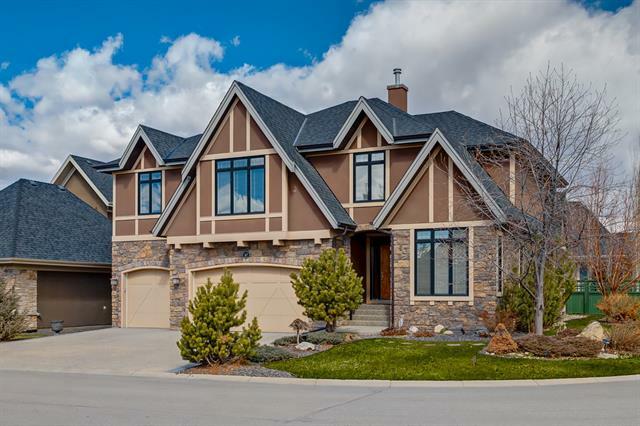 This amazing home is a must see with so much to offer including approx. $45,000 in recent renovations. See for yourself! Contact me today to view. Home for sale at 34 West Point Me Sw Calgary, Alberts T3H 0X4. 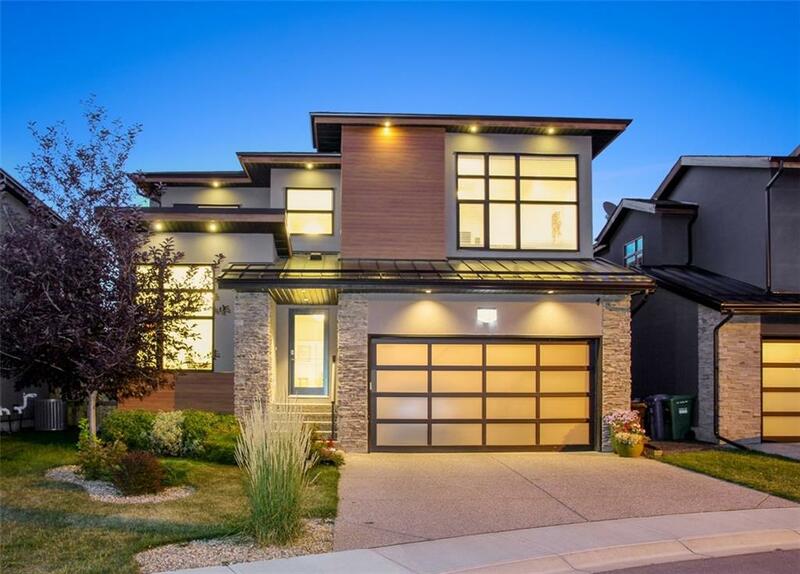 Description: The home at 34 West Point Me Sw Calgary, Alberta T3H 0X4 with the MLS® Number C4220900 is currently listed at $1,039,000.